To apply Trenitalia promo code simply fill in the route and travel dates and hit search. Proceed to 3rd step “Data and payment”. In passengers details you will find separate “Do you have a discount coupon?” box. Enter the voucher and hit search. Your next ticket will be automatically discounted. Below you can see sample of successfully applied Trenitalia promo code on route from Rome to Milan. 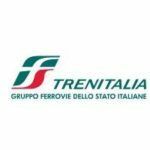 Trenitalia official conditions of this promotion says that Italo promo code grants up to 30% discount off standard tariff..
Trenitalia promotion code is valid for travel until 14th of April 2019. There is no minimum purchase simply use the discount on the route you like. However it is valid for bookings made by 17th of February.